Former Minister for International Development and the Pacific and current Liberal backbencher Concetta Fierravanti-Wells has criticised fellow Liberal Environment Minister Melissa Price, saying she is on her “L-Plates”. Senator Fierravanti-Wells is the daughter of Italian immigrants and a vocal spokesperson for conservative multicultural views. Her comments appeared in an opinion piece which was published in the SMH on Wednesday. In the article, Fierravanti-Wells laments the unfortunate incident involving Price and former Kiribati president Anote Tong, saying that “our good work and practical support for the Pacific has been recently damaged by an Environment Minister on ‘L-plates’”. Price has been widely criticised for a conversation instigated with Tong in a Canberra restaurant in October. “For the Pacific it’s always about the cash,” Price said. “I have my chequebook here. According to Fierravanti-Wells, Price “demonstrated a lack of diplomacy, understanding and respect for one of our nearest neighbours”. In her article, Fierravati-Wells goes on to propose climate policy in relation to the Pacific. She advocates for a “Pacific Resilience Fund” which will enable “Pacific Island Countries to borrow small amounts at very concessional levels to do basic climate proofing to their vital community infrastructure”. In an interview with ABC Radio National, Minister Price responded to the comments, saying that she is “deeply, deeply wounded”. Price’s climate policies remain vague, however, with interviewer Patricia Karvelas pointing out that the current government is not on trajectory to meet emission reduction targets. Price recently rejected calls from mining giants BHP and Rio Tinto for a price on carbon to help with emissions reduction targets and the transition to renewable energy. “This government does not support a carbon tax or a carbon price,” Price said. She identified the Liberal party’s “plan to grow one billion trees” as an initiative to reduce carbon emissions. 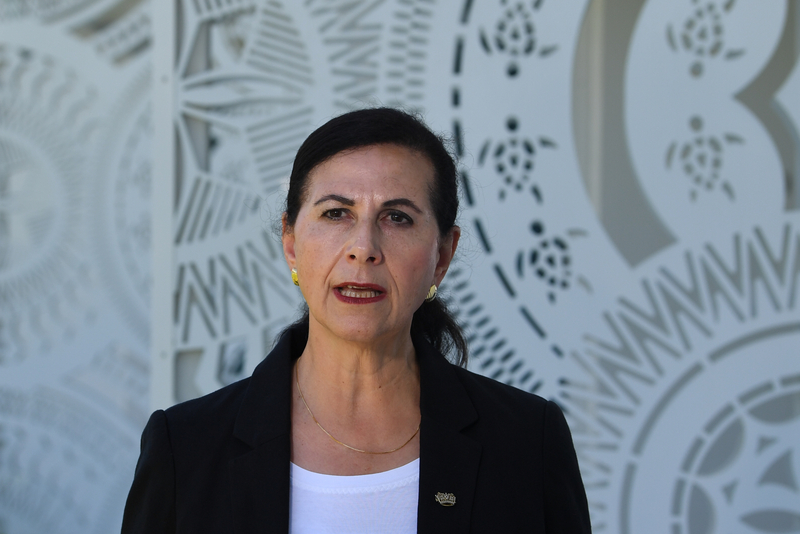 Some analysts have considered that Senator Concetta Fierravanti-Wells’ push to help the Pacific is a direct strategy in blockading China’s diplomatic efforts in the region.